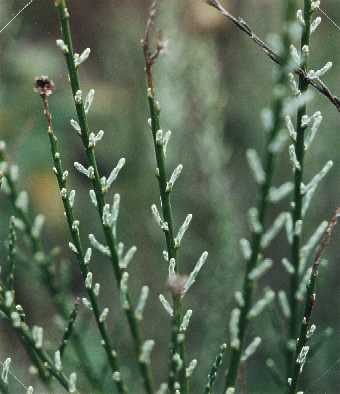 Notes: A native shrub, its leaves appear as tiny "scales" on the branches during dry months. 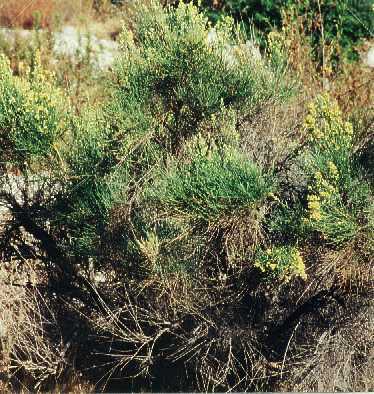 This characteristic, along with the fact that Native Americans used the stick-like branches to make brooms, gave rise to its nickname. The leaves grow into small ovals in the wet season. Can reach 5 feet.